Here is the spot where we can welcome Carl Rollyson, the author of Hollywood Enigma: Dana Andrews (University Press of Mississippi, 2012). Carl will be answering questions of our members on Saturday, Dec. 8th & Sunday, Dec 9th. Think of the high points of America film in the 1940s for a moment. Titles such as The Ox-Bow Incident, Laura, Fallen Angel, The Best Years of Our Lives, Where the Sidewalk Ends and more are likely to come to mind. One of the crucial elements that made these films classics was the expressive, often wordless eloquence of actor Dana Andrews. His screen presence gave these movies a depth and naturalism that was all the more remarkable for the seamlessness of his gifted acting. Andrews made memorable contributions to cinematic storytelling in film noir, classic westerns, and definitive examinations of the impact of war on the breakable human spirit. Yet few of us may know much more about this very private individual whose talent and longevity should have made him a much bigger star. All members are welcome to help us explore the life and career of this under-rated American actor, whose career spanned five decades, when he worked with such acclaimed directors as Jean Renoir, John Ford, William Wyler, Otto Preminger, Elia Kazan, Lewis Milestone, and William Wellman. First, thanks so much for visiting with us, Carl. In the past, you have written about such culturally significant 20th century figures as Sylvia Plath, Lillian Hellman, Martha Gellhorn, Norman Mailer, Rebecca West, and Susan Sontag. Could you please tell us why you chose to write this biography about actor Dana Andrews and how you see him in the context of his life in the 20th century? Have you always been a Dana Andrews' fan? Dana Andrews made CANYON PASSAGE (a vastly under-appreciated Western), CURSE OF THE DEMON, and THE FEARMAKERS (wherein Our Hero saves Democracy) with a favorite director, Jacques Tourneur. Did you find any special working relationship in their films together? Thank you so much for taking the time to visit our Oasis, Mr. Rollyson. Moira has the magic touch of getting great folks to come here to chat with us. Thanxx again. Last edited by CineMaven on December 8th, 2012, 8:18 am, edited 1 time in total. I'm going to keep my answers short, but I'm quite willing to expand on them for anyone who wants to know more. I was a fan of Dana in the sense that I would watch Laura over and over again. Although I admired all the performances in the film, Dana seems to me the quintessential masculine hero of the 1940s. He reminded me a lot of my father, who was a plain clothes detective in 1940s Detroit. Then I became much more deeply interested in Dana when I learned that his daughter Susan had approached my publisher, University Press of Mississippi, seeking a biographer. 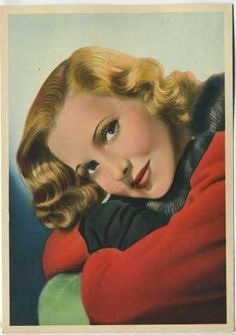 As editor of the Hollywood Legends series, I was asked if I knew of anyone who might be interested in doing a biography of Dana. I said I did. Me. Like my other subjects, I consider Dana Andrews a great artist. I was pleased to learn from reading his diary that he also had ambitions to be a writer. Both his diary and his letters are eloquent. In various way (I can explain) he is connected to my other subjects, including Marilyn Monroe, Lillian Hellman, and Sylvia Plath. Dana did not have that many friends in Hollywood--that is, people in the film industry he was close to. 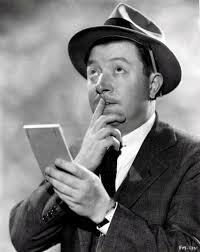 Tourneur is an exception. They were very close collaborators. They both were in love with sailing and spent lots of time on their boats together. Dana had three sailboats at one time. Later, Dana bought one of Tourneur's houses. Canyon Passage is a stunning film. It is not as flamboyant as the wide screen westerns, but it is so superbly composed. I call it a vertical Western because it is not about the wide open spaces but rather about town life and settlement and business. The interplay between Dana and Susan Hayward is magnificent. Don't miss them in My Foolish Heart. I think she was his favorite actress for reasons I can explain if anyone is interested. Tourneur, by the way, was not about filming stars. Hayward at one point complained that she wasn't getting enough closeups. But that was deliberate--as Chris Fujiwara explains in his wonderful book about Tourneur. Dana had enormous respect for Tourneur. I would say only Lewis Milestone got as much respect from Dana as Tourneur did, and Milestone also became a close friend. Indeed, it was Milestone who urged Dana to go after the part of Mark McPherson in Laura. I appreciate your warm welcome. I agree that Joan Crawford should have chosen Dana over the moody Henry Fonda. Did you know that, in fact, Dana wanted to play Fonda's role? But Preminger was insistent that Dana play the glib lawyer who gradually shucks off his superior air. Dana never claimed to have a favorite role--not even the one that made him a star. And he didn't even like his role in Fallen Angel, which I consider his best because he plays a conflicted character who is very complex. Although he appeared in five films with Gene Tierney, I don't think he ever got to know her well. He liked her, and she liked him. But he shied away from contact with his leading ladies. LIke Jimmy Cagney, he liked to go home when the job was done. He had no interest in off screen romances with his co-stars. Preminger was certainly the most difficult director Dana worked for. But Dana always knew his lines and performed so well for Preminger that they had very few fights. The had a mutual respect, if not affection for one another. Did Dana have a favorite director? It's hard to choose between Tourneur and Milestone. I guess I would give the edge to Milestone because he really made Dana's career, casting him in The Purple Heart and A Walk in the Sun but also pushing Dana to go after the role of Mark McPherson in Laura. So much interesting information already. Many thanks! Can you comment on Dana's relationship with his brother Steve Forrest? Do you know if he made any comment about costarring with Greer Garson? Did Dana enjoy doing guest spots on Tv shows? In various way (I can explain) he is connected to my other subjects, including Marilyn Monroe, Lillian Hellman, and Sylvia Plath. The interplay between Dana and Susan Hayward is magnificent. Don't miss them in My Foolish Heart. I think she was his favorite actress for reasons I can explain if anyone is interested. Hi, Mr. Rollyson, and welcome to our Oasis. Please, do explain!!!! I think my favorite scenes of any of his movies, is the nightmare scene from The Best Years of Our Lives, and then at the end of the movie, when he is reliving the war in the nose of the airplane. Powerful stuff, indeed. Vienna wrote: So much interesting information already. Many thanks! Steve Forrest (born William and called Billy in the family) was much younger than Dana. Like Dana, he got interested in acting very early. Steve served in WWII (he was at the Battle of the Bulge) and when he came to Hollywood, the brothers became close. Unfortunately, Steve was ailing when I was researching my book, and I never had an opportunity to speak with him. But he did write an an affectionate article about Dana that I drew on in my biography. Dana was very circumspect about his leading ladies. He rarely talked about them. And you will probably be disappointed when I say I found nothing in particular in my research with regard to Garson. He got along well with her, but as so often with him, working with an actress was just a job. Very few actresses really impressed him. Two big exceptions: Susan Hayward and Anne Baxter. Both of these women were friends. Baxter would sometimes sail with Dana. By the way, the scene in Strange Lady in Town, when Dana shows Greer Garson how to ride a horse, is hilarious. Dana liked the guest spots on television, expecially the stint he did on the Perry Como Show because Dana had an opportunity to sing. He loved to sing, and he had a trained voice. In fact, he gave concerts in L.A. before he became a movie star. 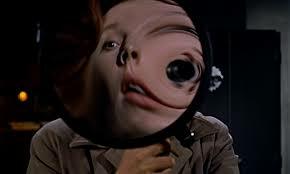 Dana said he did not realize how powerful that scene in the nose of the airplane would be, and that if he had realized it, he would have done a better job. "No, you wouldn't have," his wife Mary said. I think what she appreciated was his natural, seemingly unconscious style, and thinking the scene was "important" might have made him try too hard. Like Dana Andrews, Susan Hayward didn't really like Hollywood. She liked acting. Like Dana, she grew up admiring Ronald Colman and wanted to perfect a style that was as elegant and economical as his was. So when Dana and Susan got together, the rapport was immediate. They admired one another's no-nonsense professionalism and unwillingness to play Hollywood games. One of my other subjects, Sylvia Plath, loved the theater, and she went to see Dana in a performance of The Glass Menagerie. She mentions doing so in her diary. Unfortunately, she does not say what she thought of his performance! Walter Matthau played the gentleman caller in that production, by the way. 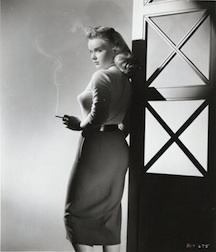 Marilyn Monroe and Dana had the same agent for a time: Charles Feldman. Feldman brought Marilyn to Dana's house before Marilyn became a big star. 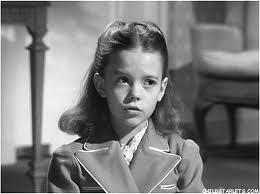 She was quiet--so quiet that Dana had no idea she would become a great star. Dana met Lillian Hellman when he was working on The North Star. She had written the script. He liked her, although a friendship did not develop. He gets to sing in this picture--the only time he is heard singing on screen. Carl_Rollyson wrote: I appreciate your warm welcome. Dana never claimed to have a favorite role--not even the one that made him a star. And he didn't even like his role in Fallen Angel, which I consider his best because he plays a conflicted character who is very complex. Thanx so much for entertaining my questions, Mr. Rollyson. Did Dana actively seek out roles or was he “pushed” as you say? And as to being pushed to go for a particular role, was it due to any lack of confidence on Andrews' part? Was there a role he wanted that he didn't get? How would you describe the Andrews' persona? Was there something studio execs saw, or was he just another handsome rugged face on their roster for wartime audiences? He's no Smilin' Jack. There is a dark mystique about him. “My Foolish Heart” is one of those great tearjerking romances we gals love to cry about. We can feel the chemistry. 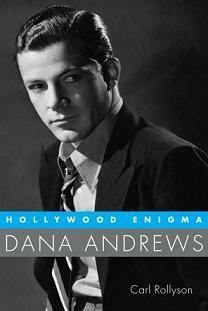 Lastly, is there anything you learned about Dana Andrews that really surprised or saddened you to learn? However, one great compliment I can pay Dana is that despite the presence of Henry Fonda in the starring role, his perfomance in the OX Bow Incident is the hightlight of a classic film. It's also fair to say in my opinion that The Best Years Of Our Lives is one of if not the best films about returning American soldiers from the war, though I think Guy Madison (In roughly the Andrews role) in TIll The End Of Time runs it close. I did hear that at one point Audie Murphy was planing a sequel to To Hell And Back, about soldiers returning home. It's a pity he never made it, I think he would have highlighted the imotional truma that soldiers suffered after returning from the battlefield. Hi, Carl! It's great to have you at the Oasis this weekend. I am very excited about your book! You mentioned that Dana played the role of Tom in The Glass Menagerie. I can't think of a better person to play this role! I only wish I could go back in time to see this performance. Do you have any more information about this play, the role, how Dana felt about it, what the reviewers thought, his co-stars, how he approached acting, etc? I feel a lot of frustration in Dana's best performances, and some self loathing... was this a part of his makeup in real life, or was it all just what he made up for the characters? This is related to the last question - You say he liked to get away from Hollywood, was he a big family man? Or was he reticent with his family? I sense an introspection that maybe kept him from fully enjoying himself even when at home? But perhaps that's just something I am getting from his characters. How did he and Fonda get along? It's pretty amazing to say that in Daisy Kenyon, it is Andrews who walks off with the better performance. Did they have a rapport? ALMOST EVERY ROLE THAT GREGORY PECK PLAYED IN THE 1940S WAS ONE DANA WANTED. DANA WANTED TO DO GENTLEMAN'S AGREEMENT AND SAM GOLDWYN TOLD DANA HE DIDN'T LOOK JEWISH. DANA WANTED PECK'S ROLE IN TWELVE O'CLOCK HIGH. AT FIRST, STUDIO EXECUTIVES SAW DANA AS A SECOND LEAD, THE GUY WHO DIDN'T GET THE GIRL. THIS IS THE ROLE DANA PLAYED IN FILMS LIKE BELLE STARR AND CRASH DIVE. THEN LEWIS MILESTONE SAW HOW WELL DANA COULD PLAY THE NOBLE, GENTLEMEN HERO (LIKE RONALD COLMAN BUT MORE DOWN-TO-EARTH). IT WAS ONLY AFTER LAURA THAT PRODUCERS WERE CONVINCED THAT DANA COULD PLAY ROMANTIC LEADS. BOTH MILESTONE AND DANA UNDERSTOOD THAT HE HAD TO PLAY MARK MCPHERSON IN ORDER FOR HIM TO BECOME A STAR AND GET LEADING MAN ROLES. MY FOOLISH HEART IS OFTEN DESCRIBED AS A WEEPIE OR A TEARJERKER. IT IS BASED ON A J. D. SALINGER STORY. SALINGER HATED THE MOVIE. BUT FORGET ABOUT SALINGER. I HAVE TO CONFESS THAT THIS FILM REALLY SPEAKS TO ME, EVEN IF OTHERS DISMISS IT AS SENTIMENTAL AND TRITE. DANA AND SUSAN HAYWARD GIVEN WONDERFUL PERFORMANCES. DANA NEVER DISAPPOINTED ME. SURPRISED? WELL, I WAS AMAZED THAT HE DID NOT HAVE ANY AFFAIRS, EXCEPT FOR ONE WITH LINDA CRISTAL. SO MANY BEAUTIFUL WOMEN, AND YET THE ONLY WOMAN WHO MATTERED TO HIM WAS HIS WIFE MARY. DANA COULD CERTAINLY HAVE HAD AFFAIRS WITH MERLE OBERON AND JOAN CRAWFORD, BUT HE JUST WASN'T INTERESTED.